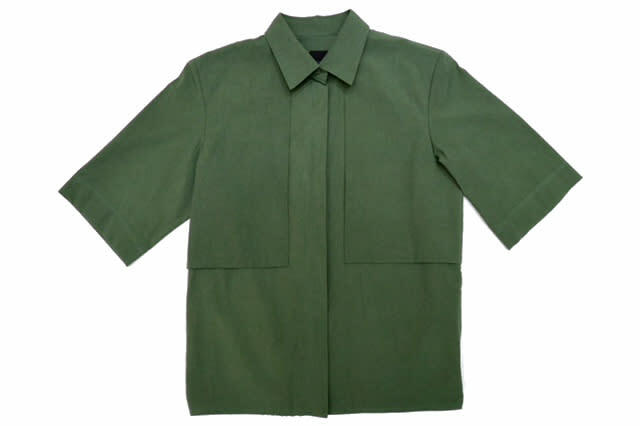 This dark green 3/4 sleeved boxy shirt is featuring an elastic detail at the back. Very light and pleasant to wear and can be styled with a tapered or loose trousers, as well as pair of jeans. Designed by August. It is recognised as the world's leading processing standard for textiles made from organic fibres. It defines high-level environmental criteria along the entire organic textiles supply chain and requires compliance with social criteria as well.